Printed from your Powerpoint, Pdf, jpeg or tiff formats. 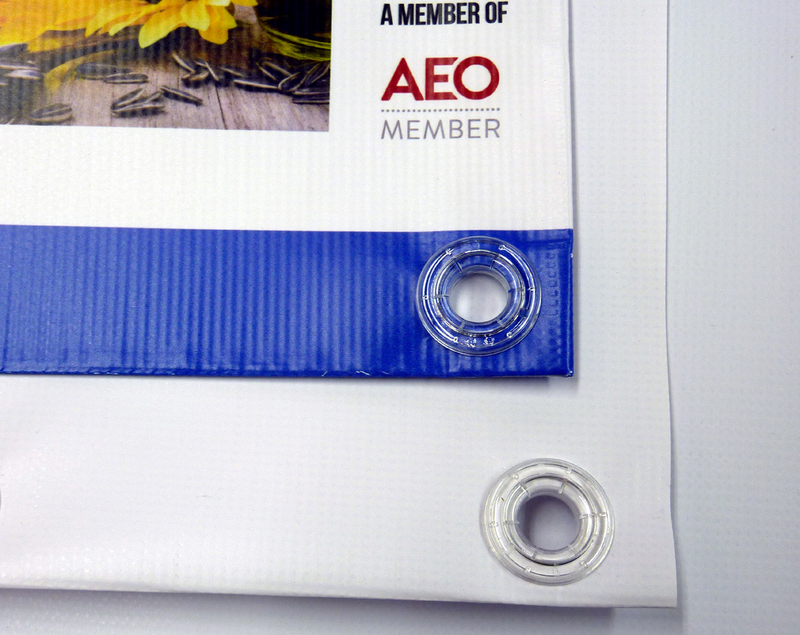 Discounted high quality 440gm PVC Outdoor Banner Printing complete with superior non rusting plastic eyelets. Please select the banner size you require. Add the quantity and you will get an instant on screen cost including any discount. Discounts are added automatically depending how many you order. The price you see is what you pay, excluding postage of course. This Banner is a fire rated mid weight 440gsm PVC banner material with a twist. 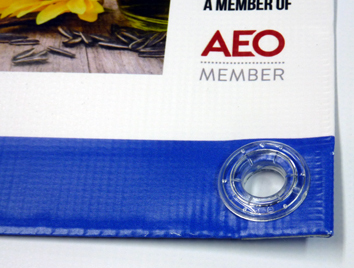 Not only does it have a smooth, bright white printing surface to give exceptional looking graphics, even with a high ink load, but this product also has incredible tensile strength. These Eyelets are an ecological alternative to traditional metal eyelets and more aesthetically pleasing! 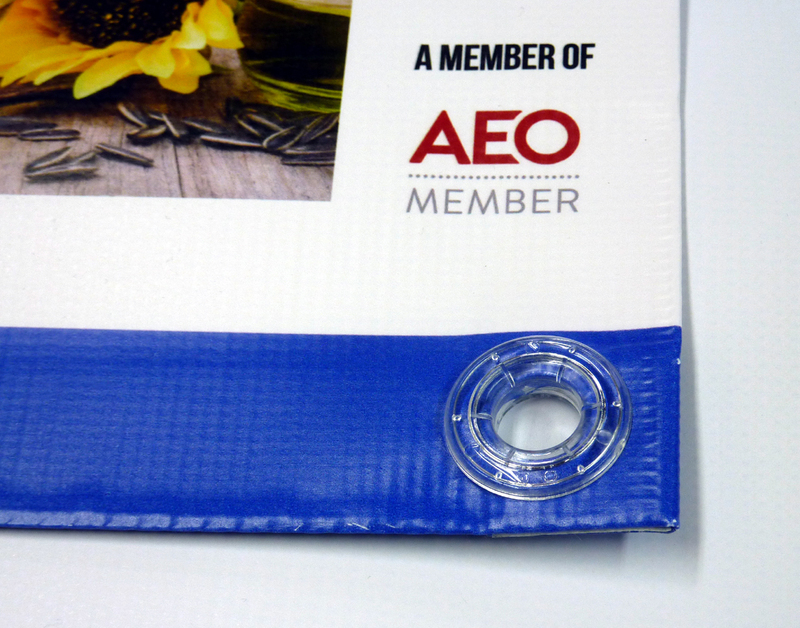 Use of the Plastgrommet eyelets with polypropylene (PP) or polyethylene (PE) banner material allows us to produce a fully recyclable banner. 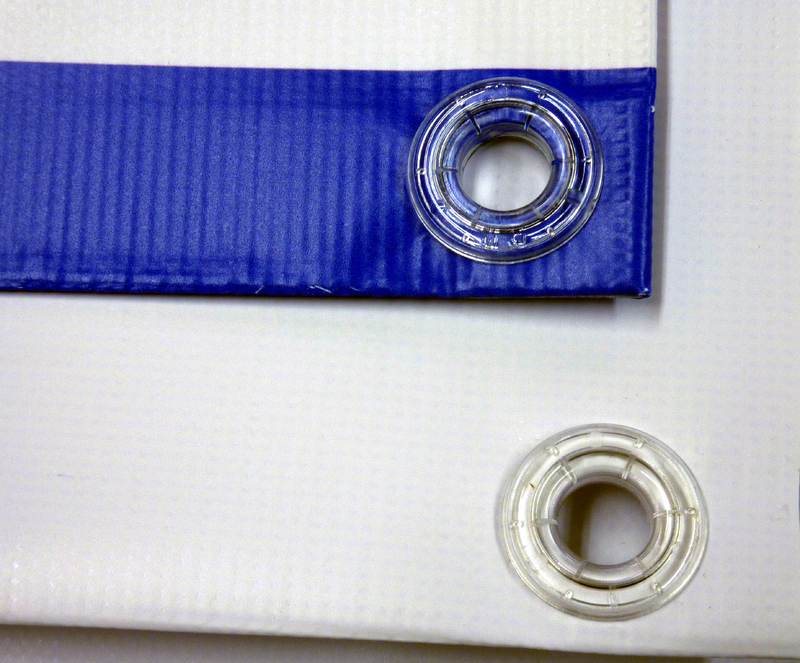 Hole size after setting 12mm diameter (size #3) with Long Neck for heavier banners. Inks are water based Latex Inks which are ecologicaly friendly and as green as you will get. This banner material is an excellent all rounder, ideal for both indoor and outdoor applications.